Written by Howard Brenton, the man behind last year’s production of ‘Anne Boleyn’, ‘THE BLINDING LIGHT’ was performed in two studio theatre venues during October. A bawdy romp with up-roaring songs and dances, charting the life and loves of one of England’s first and finest stage actor, orange seller and most famous mistress of King Charles II, Nell Gwynn. 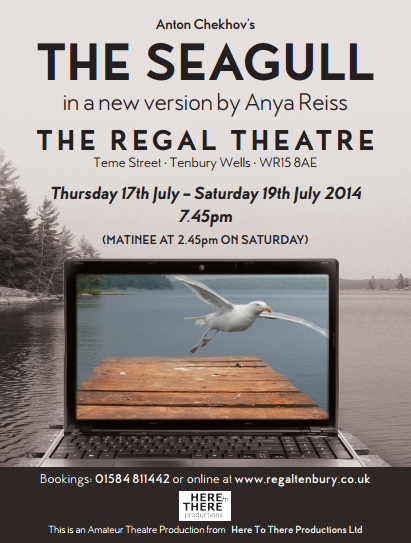 Performed in the main house at The Courtyard Theatre, Hereford from 29 Aug to 1 Sept 2018. An open air sixties themed version of As You Like It performed in Ludlow Castle. Emma’s been seeing Darren. She thinks she’s in love. Her boss thinks she’s in breach of contract. The situation needs to be resolved. A black comedy where office rules ignore human needs. Hunting through an old chest the newly crowned King of England; James I discovers the controversial legacy of Anne Boleyn. Henry VIII’s notorious second wife. Time jumps back 70 years to when the witty and flirtatious Anne was in love with Henry, but also with the most dangerous ideas of her day. Conspiring with the exiled William Tyndale, she plots to make England Protestant. 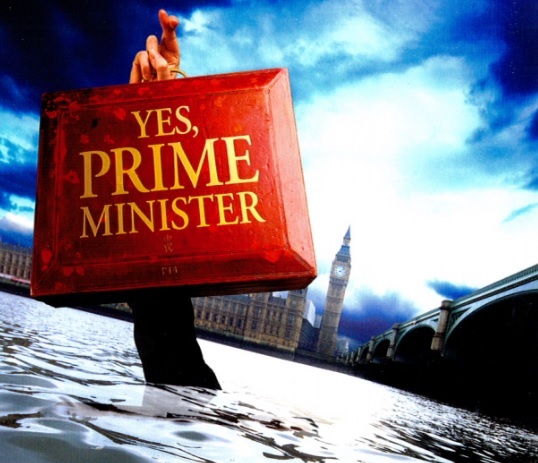 Continuing Here to There’s policy of first performances in the region of fresh, new, socially-relevant productions, Four Minutes Twelve Seconds was performed in February and March 2017 at Ludlow Brewery and at the Coach House Theatre, Great Malvern. This highly charged 5 star awarded play kicks off our 2017 season with a bang. First performed in 2014 at the Hampstead Theatre, the piece has had critical acclaim heaped up on it, with sensational reviews from The Times and The Guardian who awarded it 5 and 4 stars respectively. Seventeen-year-old Jack is the apple of his mother’s eye. His parents, Di (ALEX LACEY) and David (MARK TOPPING), have devoted their lives to giving him every opportunity they never had. As a result, Jack is smart, outgoing, and well on his way to achieving the grades to study Law at Durham University. He has a girlfriend, Cara (AMEY WOODHALL) whom is seen regularly at their house, and has many friends at school including a computer geek, Nick (CHRISTOPHER WALTHORNE). But a startling incident outside the school gates threatens to ruin everything they’ve striven for: an incident that suggests a deep hatred of their son. As events begin to accelerate, Di and David start to doubt Jack’s closest friends, Jack himself, and ultimately themselves – who can they trust? In a world where smartphones are ubiquitous, James Fritz’s deeply provocative and topical drama throws a light on the sorts of insidious opportunities new technology offers – where nothing dies online, except reputation. ‘An engaging and challenging piece of writing, the pace and delivery of the performances across the board enhanced the tension and growing unease of the story as it unfolded. The naturalistic delivery of the lines was outstanding and I almost wondered if it was semi-improvised, which I know now was not the case. Alex Lacey as Di and Mark Topping as David had huge roles to inhabit and they did so with confidence and tremendous belief which was maintained from start to finish. Top class performances. The power of the piece was helped by there being no interval which allowed the tension to be cranked up steadily as more details of the events were revealed. The soundscape and projections helped to add to that growing sense of menace. The simple staging and effective lighting also added appropriately. Special mention should be made of Christopher Walthorne as Nick and Amey Woodhall as Cara who were both tremendous. The portrayal of Nick ranged from funny to tender and was a hugely enjoyable performance. The part of Cara was not at all easy and the anger, frustration and hurt came across loud and clear. Two fine young actors. Huge credit to the Director, Andrew Whittle. who allowed the piece to flow beautifully. There was undoubtedly a lot of thought and care in the direction which has brought this piece to life quite brilliantly. We were delighted that 2016 saw not one but two Shakespeare plays being produced by Here To There, as part of our Shakespeare 1595 Season and performed at the Ludlow Assembly Rooms. Why 1595? Well according to literary historians, it is thought that both plays were written in 1595, and whilst are two different plays in tone and theme, there is a connection. The play about Pyramus and Thisbe, put on by the Rude Mechanicals in ‘Midsummer Night’s Dream’ does have some resonance with the story line of ‘Romeo & Juliet’…or did the bard write the Mechanical’s play from R&J? Who knows?! 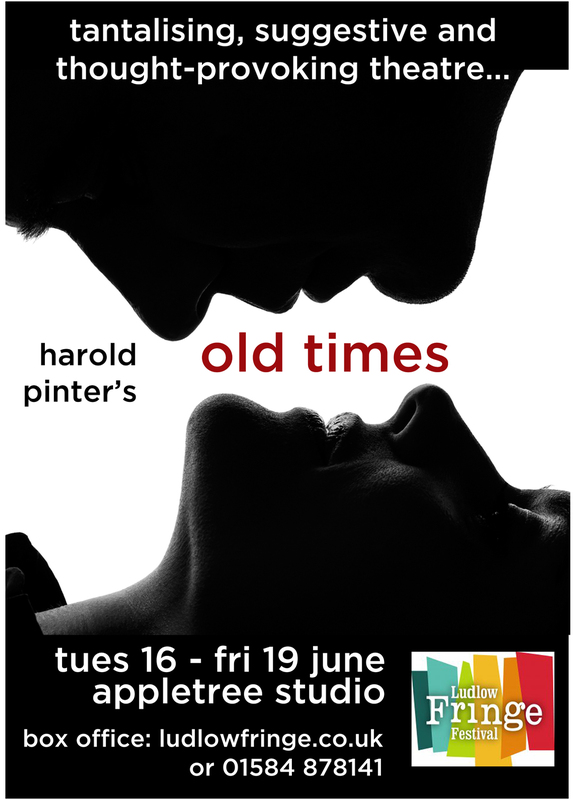 We set both plays in 1955, a time of change both in the UK and Europe. Fashion and music tastes changed, and for the first time, the younger generation were starting to have their own identity. Romeo & Juliet is set in a Midlands town, in the summer of 1955 and has a real gritty grown-up feel to it. To watch the official theatrical trailer film, please click on the link image below. Midsummer Night’s Dream is set in Athens, 1955…however the magical forest inhabited by the Fairy Folk is very much ‘out of time’ and we’ve gone for a ‘Steam-Punk’ look for our fairies. Both productions will once again have an original music score, and will be performed by a live band…something that is unusual in provincial theatre these days, and will be a treat for the audience. Watch the latest theatrical trailer here for ‘Mermaid’, shot by Wild Edric Media. 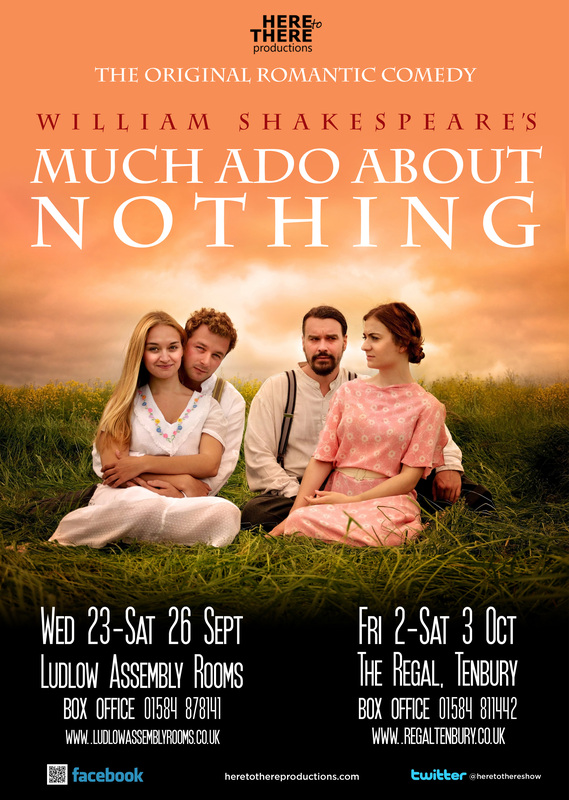 The ‘original’ Rom-Com from William Shakespeare hits the stages in Shropshire and Worcestershire this Sept & Oct, with our production of ‘MUCH ADO ABOUT NOTHING’. Perhaps considered one of the Bard’s most accessible and funny plays, Much Ado About Nothing has all the elements needed for a great show….where boy meets girl, boy loses girl and along the way another couple who apparently hate each other, actually fall in love as well. Oh and there are couple of villains to boot! This production is set in Spain in 1939, against the backdrop of the end of the Spanish Civil War, and include an original score written specially for the play and performed live by a 5 piece orchestra.